Make your next meal a memorable one! Dine-in, take-out, host a party or meeting–all with Tamra Grill by your side, serving unique and flavorful cuisine. ​Serving an excellent selection of beer and wine as well as a variety of refreshing beverages including lemonade, iced tea, & traditional mediterranean coffee. We have partnered with DoorDash to bring fresh Mediterranean Food to you! Serving 15 people or more? ​ Call us to learn about our Catering menu. Hosting an event or meeting? Treat your guests to an authentic Mediterranean meal. Available for pick-up or catered on-site. We are from the Mediterranean, but call California home. As such, we cherish the uinque similarities between Mediterranean and Californian cuisine. ​Our aim is to bring these together with our over 20 years of experience working in the food and beverage industry, to give you a truly local and authentic dining experience. The Shaqir brothers began their career in the food and restaurant industry early in their lives. Growing up on a produce farm instilled a passion for cooking with whole, fresh ingredients and integrating food and flavors to everyday life. They share a background of growing-up working in local restaurants, and in selling fresh produce at local farmers markets in Israel and Palestine. This early initiation to the industry and exposure to some of the world’s finest fresh ingredients in the Mediterranean–from vegetables to olives and olive oils, to unique herbs and spices–inspired them to share their family and inspirational recipes, flavors, and experiences with you. 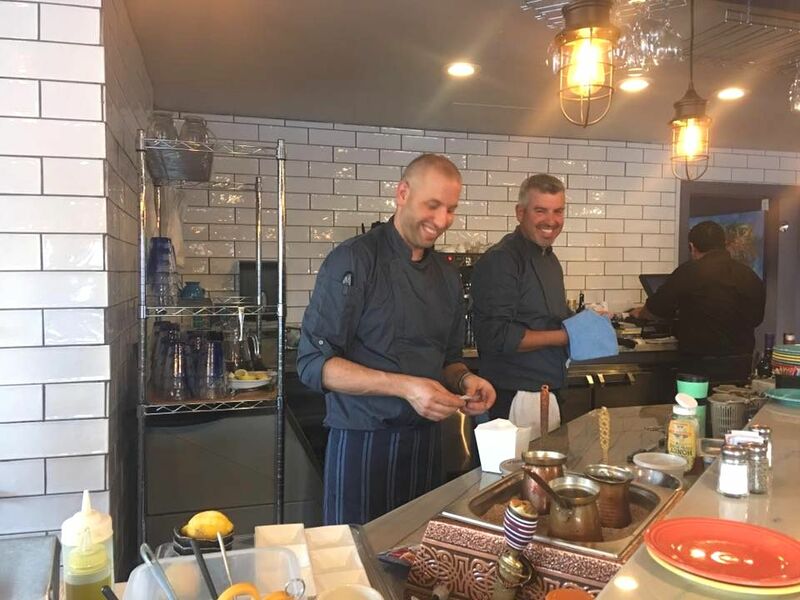 They have both served at and managed restaurants in south bay area, and in Saratoga, and are happy to call Saratoga home for Tamra Mediterranean Grill. Together, they will craft the most unique and thoughtful pairings to ensure a dining experience that is custom and friendly.